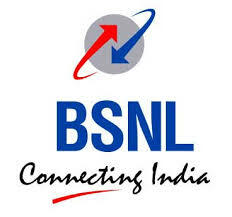 If you are customer of BSNL broadband and using a modem connection, you must have experienced these or at least some of these errors at least once in your system and would have thought what is the reason and solution of these problems. Although it is a very elaborate topic but I will here give solutions to frequent coming error codes. I will take the error codes not according to ascending/ descending order, but according to frequency of error occurrence. ERROR 678: "The remote computer did not respond"
It is a common broadband error code and frequently occurs. Wrong connection at broadband CPE. LAN card of PC may be disabled. PC Ethernet (LAN card) port fault/ Driver corrupt. Modem fault/ Modem Configuration Fault. Voice and Data Splitter at your end may be faulty. Server down or due to higher network element faults at ISP. Third-party firewall software is blocking the connection. 1. Check whether ADSL/ DSL/ Link light of your modem is stable glowing or not. If it is Stable, then take a ping test from your PC to modem. then type “ping 192.168.1.1 –t” and press enter. If reply is ok, then check the modem configuration. If reply is not ok (i.e. Destination host unreachable or request time out), then LAN card/ Ethernet Driver or modem is faulty. So, better you check your modem in another PC or laptop for modem verification. connection, whether all are connected perfectly. If all is ok, then surpass the Splitter box and directly terminate the line cable to your modem, it should work if your splitter is faulty. Still your Link light is not stable then you should lodge a complain to BSNL office or through online complain Portal. Due to LAN port disabled. Enable the LAN port (or Local Area Connection). Start->setting->control panel->network connection->right click on local area connection->enable. Due to Modem Configuration problem. Reconfigure the modem with correct value of VPI/ VCI. 1. It occurs when another application / process requires the same port as being used by the broadband / internet modem. In particular, fax software is often associated with error 619. 2. Due to corrupted Modem USB driver (If using). 4. You may have installed a router and is causing you some issues with connectivity. 1. Most of the time, when you restart your system it automatically solved. 2. Fix your System registry problem with registry cleaning software. 3. Uninstall and reinstall your Broadband modem USB driver. 1. Incorrect User name or password, or Spelling error. 2. Due to forget of changed password. 3. Due to wrong port binding by ISP. 4. Due to authentication problem in AAA server of ISP. 1. Check spelling of User name & password. 2. Verify Caps Lock Key. 3. Ask to BSNL office for password reset. This error comes mainly on Windows 7 OS. This problem is due to problem in windows 7 files mainly with PPPoE driver file raspppoe.sys. 2. Windows System Restore in back date may solve the problems. 3. Uninstall Microsoft Virtual PC 2007, the problem seems to be fixed. 4. Disable IPv6 for your connection source. This error comes especially on Windows Vista System and as per my practical experience it is due to LAN driver problem or IP related issues. One more reason may be registry Problem. 1. Login with your admin account and verify IP add. 2. Uninstall and reinstall your LAN drive. 3. Fix your System registry problem with registry cleaning software. These types of error come basically due to Computer LAN Card problem. So, better you check your card. Some times when you restart your system it automatically solved. and number of customers exceeds the traffic handling capacity of system). The wrong username and or password were entered. The modem may need initialization string to stabilize its operation. 2. Make sure the correct username and or password have been entered. 3. Make a complaint to BSNL regarding this.